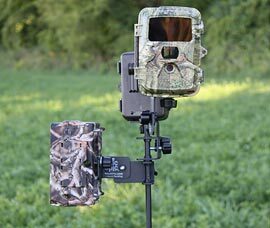 With the Stic-N-Pic Trail Camera Mounting System you’ll have the freedom to quickly decide exactly where your camera should go. Stop settling for ‚just good enough‚ and start capturing action like you’ve never seen before! 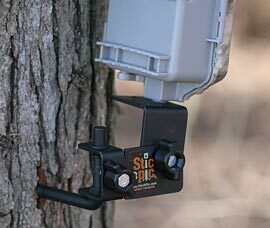 Whether your interest lies with whitetail hunting, birdwatching, wildlife monitoring, or even if you have a need to monitor property, the Stic-N-Pic Trail Camera Stand and Tree Mount will allow you to have 360-degree views of the landscape you’re looking to capture. 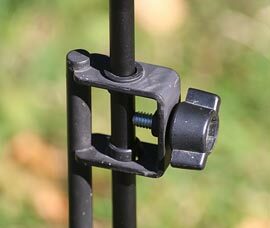 Find out how to use your camera with the Stic-N-Pic Trail Camera Mounting System. Tim Elliott interviews Stic-N-Pic founders Jesse and Sarah Hurley. 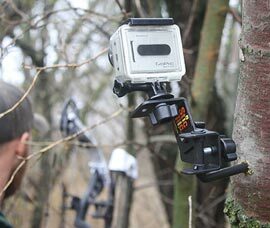 Showing how valuable the Stic-N-Pic is when setting up trail cams. 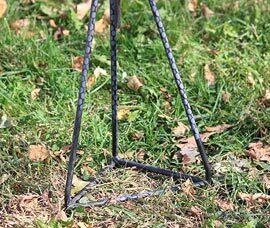 Outdoors Editor John Nolan interviews Stic-N-Pic inventor Jesse Hurley. "You can put the device in bush, a brushy cedar or even in standing corn to capture movement along any corridor."